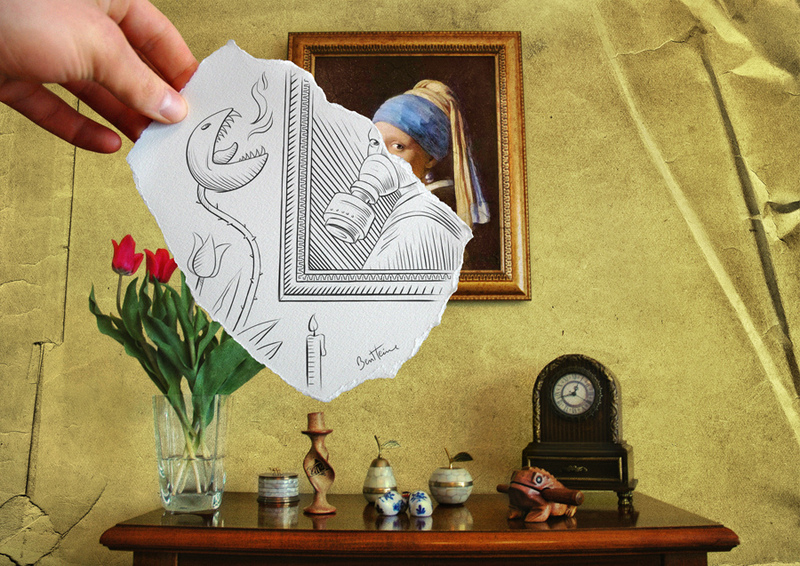 You could say that Belgian artist Ben Heine is talented. As well as being a painter, he is a portraitist, caricaturist, illustrator and photographer. These talents are combined in one of his latest projects, Pencil Vs Camera, some of which we reproduce here with his very generous permission. Above, a distinctly modern twist on a classic Vermeer, who becomes Girl With A Pearl Earring and Gas Mask.